Blinds Coupons and Discount codes — The Blinds Review. 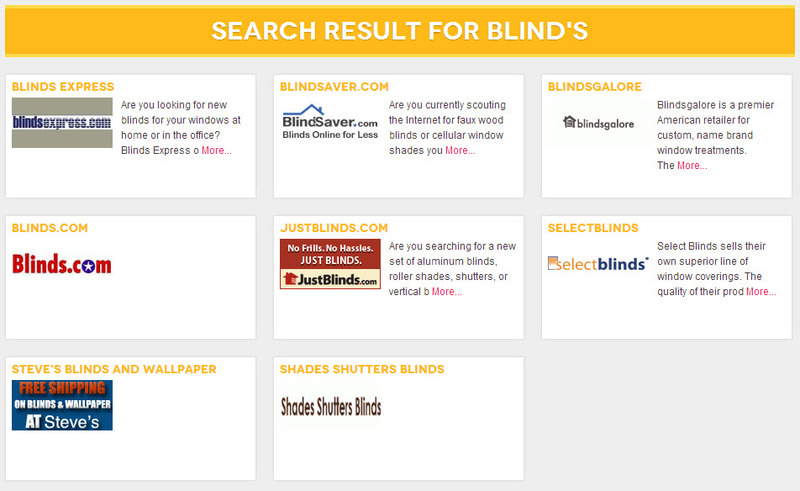 Many online retailers of blinds and shades offer both published and UN-advertised deals every week. Check back here often to see the best coupons, discount codes and promotional savings and set your wallet free. All blinds and shades coupons brought to you by SparkCart... search.click.save. 20% off selected products, not through May 31st. Just Blinds rarely offers discounts, so now is a great time to stock up on their products and save a bundle. Just Blinds is one of the original online blinds companies. They're based in Texas, and charge sales tax in that state only. Just Blinds website is very simplistic in nature, and is easier to navigate than the more fashionable blinds websites. Binds.com makes is a cinch to jump into your Summer DIY projects. Start by remodeling your windows! Does your laundry list of do-it-yourself projects always seem to be getting bigger? Blinds.com can help you narrow down your project list — starting with your windows! This month, get a head start on your summer home improvement by taking advantage of sales and specials from our top brands. Browse the offers below to launch your DIY dreams. Up to 40% Off from Blindsaver thru November! Buy 3 Get 1 Free - BlindSaver Collection! No promo code necessary. Free Cordless Lift - Levolor Blinds & Shades at Blindsaver.com! No promo code necessary. Save 40% on Bali Products (30% sale price plus 10% coupon). Enter code BALISAVER10 at checkout. Valid through 7/31.